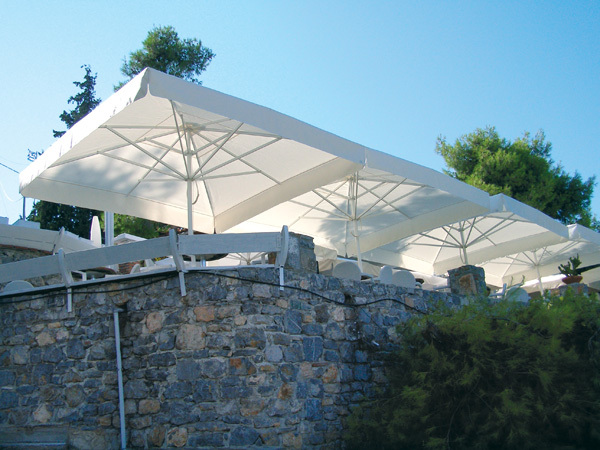 Sanilia is in the business of umbrella manufacturing since 1960: we manufacture umbrellas for professional and advertising use, as well as beach umbrellas. Our premises are located at Marathon, Attica: on a piece of land of 5.000 m2 of total space, our production facilities occupy 3.500 m2 (owned property).  We create by designing customized, integrated solutions.  We insist on delivering quality on product and services. This delivery of quality on a regular basis has been certified by the Austrian TUV.  Through our everyday operation and our constant updating on the latest developments in our field, we are evolving so that we are always innovative, reliable and competitive. Our mission is to provide the appropriate, reliable solutions to the professional who wishes the operational optimization of his external and internal space, in combination with the right promotion of his products. 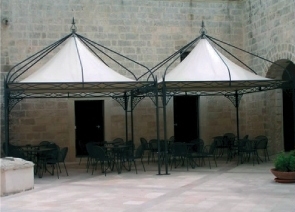 And we are consciously striving to link our experience in umbrella manufacturing to the technological evolution, towards one end: to fulfil your needs.  The combination of experience and expertise, which links the right design to a reliable implementation.  The quality of our materials.  Adherence to high standards of construction. 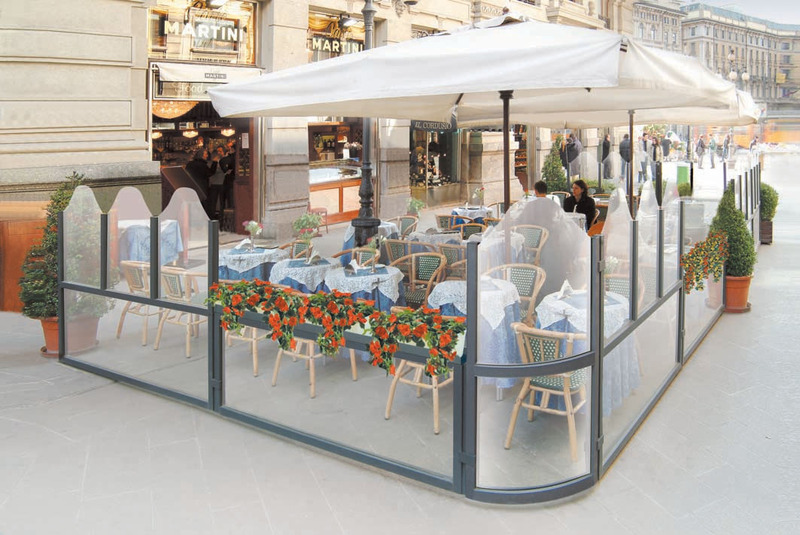  Modular screen separators and furniture of external and internal space.